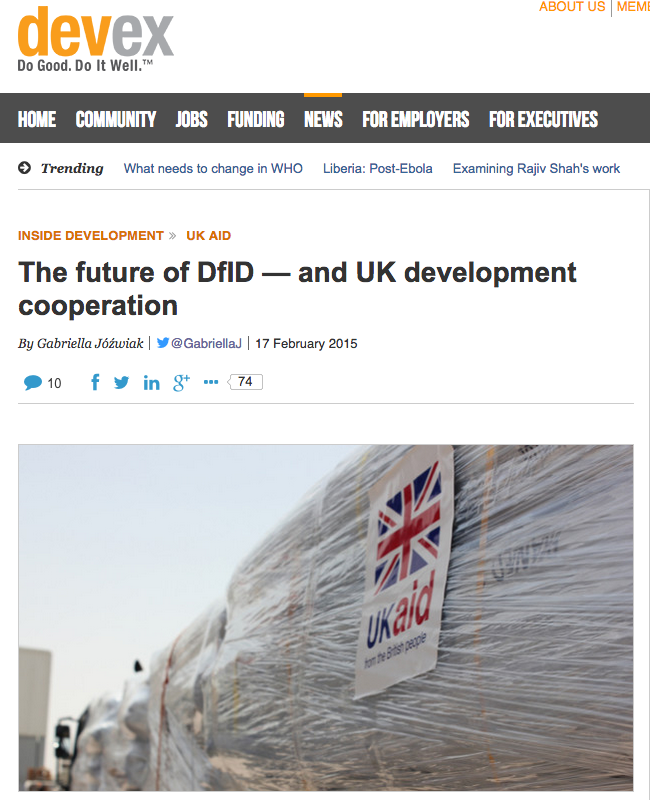 "To be able to respond to modern-day challenges, U.K. development agencies need to shift their focus away from aid toward greater policy coherence. Given that the U.K. will no longer provide aid to some middle-income countries such as India, its Department for International Development should form new models of cooperation within the health, education, culture, law and science sectors. Doing so will place more emphasis on working with small organizations, rather than larger delivery partners. These were the recommendations of a new report launched this month by the International Development Committee, where a group of influential members of Parliament argued that while aid is essential to reduce poverty and reach development and environmental goals, aid alone is not enough. Recommendations in the report were based on evidence collected over a period of seven months from more than 60 development organizations and experts. And global development professionals should heed the messages in the report, Overseas Development Institute team leader for public goods and services Leni Wild told Devex..."